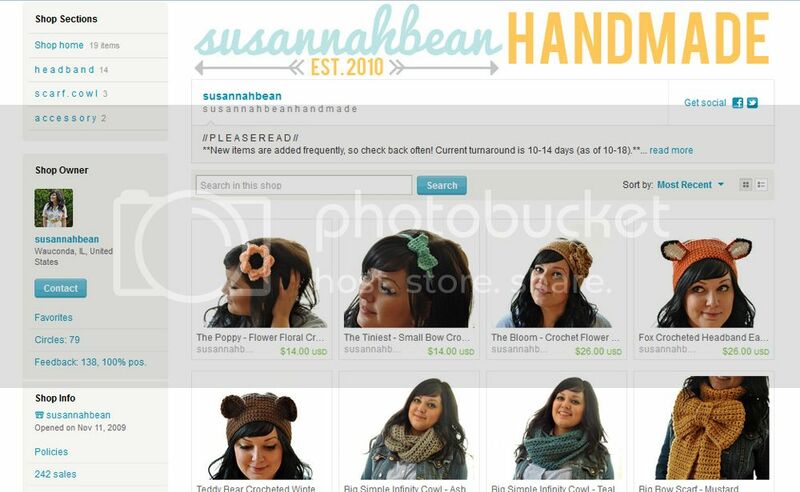 susannahbean: A little Etsy goodness. I'm super excited to have new product photos up in my shop! I swear, some of those photos I had before were... not flattering in the least. But these ones are pretty cute and showcase my items in a much more realistic way! I also listed a couple new headbands, and relisted some old ones. I'm plugging away at my current orders, and I'm also trying out new designs to put up soon! You look totally adorable in those pictures. I'm loving those fox ears! The photos turned out really good. Well done. Love the big bow scarf. It looks very cute and fresh! Nice and clean.